14.84mm x 14.58mm / 0.584in. x 0.574in. Teapot Charm by Rembrandt Charms. The width is 5/8 of an inch. You loved tea parties with your friends and stuffed animals as a little girl. Keep those memories with you on your charm bracelet with the Teapot Charm. 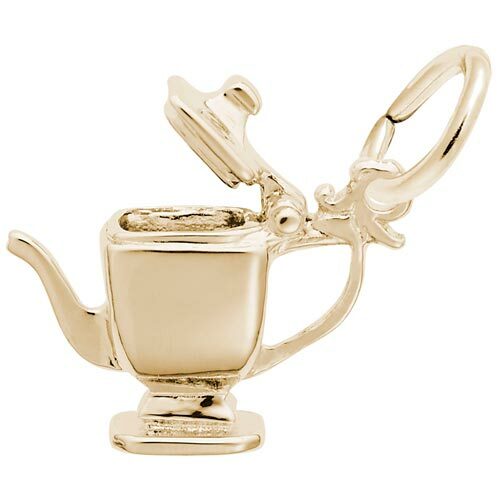 This teapot charm can be placed on a necklace or will be a wonderful addition to a Charm Bracelet. All Rembrandt Charms are available in either silver or gold.